Vallegrande Nature Resort Cefalù is a set of sea, woods and culture. It lies deep in the woods of the Madonie Natural Park, about 3,5 kilometers far from the beach of Sant’Ambrogio (Cefalù). The guests of the Resort are reserved an agreement with a Lido of a pebble beach, wide and not very crowded, and crystal clear sea. the rooms are the meeting between the furnishing aesthetics and unspoiled nature. The public spaces provide a stunning view over the sea of Cefalù. Cefalu – UNESCO World Heritage Site – Geraci Siculo, Ganci, Polizzi Generosa, Petralia Sottana and Soprana, Castelbuono, Gibilmanna and Isnello. 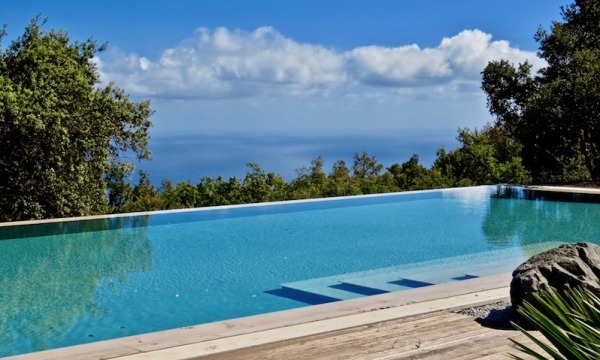 Vallegrande Nature Resort offers an unforgettable experience: relax, peace and quite of the woods, the uncontaminated sea of Sicily and its artistic beauty. In the period 06 July - 22 September half pension (diner) is compulsory (to be paid at location) for a price of €35 per meal (excl. drinks).